Utah may soon become the first state in the country to lower the BAC limit from .08 to .05 for noncommercial drivers over 21. Could Florida be next? If approved, the measure would take effect on December 30, 2018. 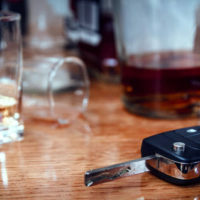 Many state advocacy groups, including Mothers Against Drunk Driving, oppose a lower BAC limit, maintaining that such a push would siphon energy away from other areas, such as ignition interlock devices and roadside checkpoints, which the group feels are more effective at lowering alcohol-related car accident fatalities. Most states, including Florida, lowered the BAC from .10 to .08 in the mid-1990s, yet alcohol is still a factor in a third of the fatal crashes in Florida, a proportion that is essentially unchanged from 1993. As Rep. Thurston pointed out, impairment sets in after one drink, so in civil court, evidence of consumption is tantamount to evidence of impairment. If the tortfeasor’s (negligent driver’s) BAC is above the legal limit, the negligence per se shortcut normally applies. Essentially, tortfeasors who violate a safety statute, such as DUI, are negligent almost as a matter of law; victims must only prove causation. The jury normally determines whether or not the rule applies in that particular case. In another recent development, a new study concludes that restrictive alcohol policies help curb teen alcohol-related fatalities. Florida’s dram shop law provides such a deterrent, as bars, liquor stores, and other alcohol providers are liable as a matter of law if they sell alcohol to persons under 21. Florida Statutes 768.125 also contains an evidence-based component which applies to drivers over 21. If victim/plaintiffs can establish, by a preponderance of the evidence, that the provider knew the tortfeasor was “habitually addicted” to alcohol, the provider is liable for damages. In all these cases, such damages usually include compensation for economic losses, including medical bills, and noneconomic losses, such as pain and suffering. Punitive damages may be available as well, in high BAC and other extreme instances. Alcohol-related crashes cause significant loss of life and personal injury. For a free consultation with an aggressive personal injury lawyer in Brandon, contact Reed & Reed. Home and hospital visits are available.